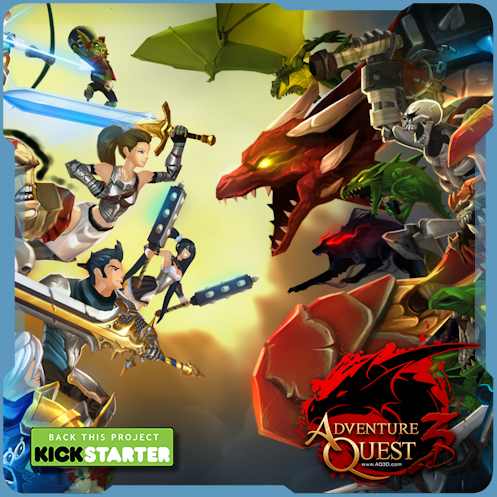 AQ3D's Kickstarter Passes its Goal! We are almost at 100% and full funded! 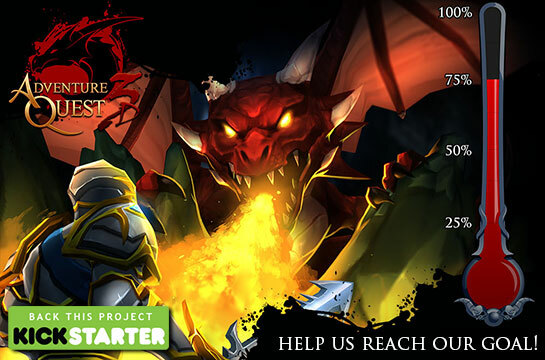 The AQ3D Kickstarter campaign just past $250,000 raised! That means we are past our goal! Thanks to every backer and everyone who can not be a backer but is helping us spread the word and get this game the funding it needs! Want to help ‪#‎AQ3D‬'s ‪#‎Kickstarter‬ become a staff pick? Email STORIES@KICKSTARTER.COM with your AE stories and why AQ3D is important to you! Becoming a staff pick would help AQ3D hit the goal before the deadline and become a reality, but they need to hear from YOU! Tell your friends. And your friends' friends. And your friends' friends' mothers. Check out Zach Storch's AQ3D Video! 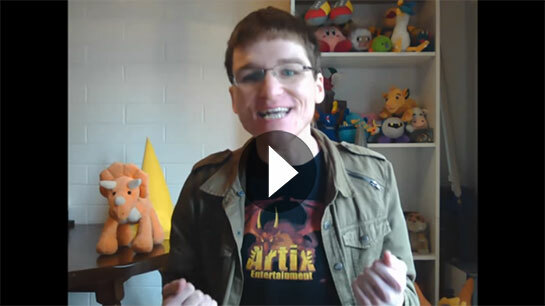 Zach Storch, long-time friend of Artix Entertainment, author of Za'nar (a wicked-cool young adult fantasy novel), Lore's own King of the Nerds, and all-around great guy and gamer is super-hyped about AQ3D and created a video to help spread the word. You can check it out by clicking here or on the image below! Hello, everyone! 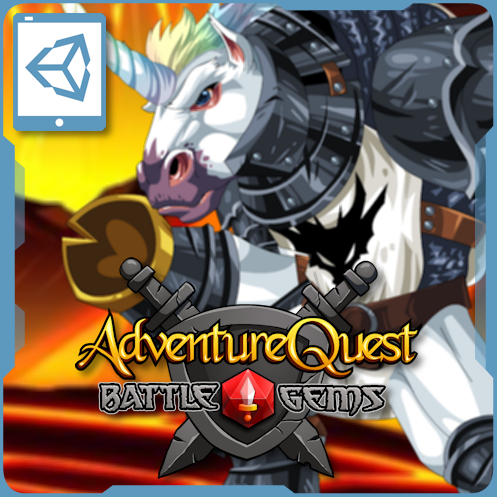 Did you know that AE is working on creating a multi-platform 3d version of AdventureQuest? It is true! We have a Kickstarter and we need YOUR help to reach our goal! We are already more than 50% of the way to the goal, so please tell your friends and have them tell their friends, puppies, fish or any living thing that loves great quality games to give their support! You can find the Official Link to our Kickstarter: Here! * There will be NO Membership or Upgrade what-so-ever! That’s right! No need to purchase monthly memberships or even a one time membership! The game will run purely on secondary currency, like Adventure Coins, Z-Tokens, and Nova Gems, that will only buy cosmetic items or early access to certain classes. Almost everything that you can buy with this secondary currency can be earn! * We are raising the funding because we need more time to finish it right. We do not want to rush it live, we want to make a game that, when it launches, is worthy of all of our amazing players that make up this incredible community! AdventureQuest 3D has the massive potential to be A MEGA HIT! If you have already supported our Kickstarter, we thank you, from the bottom of our hearts! Our players are the most amazing people and it's gestures like this that really show that! If you haven’t gotten the chance to support the Kickstarter, for whatever reason, you can still help us out! You could help spread the word about our Kickstarter! Share it on social media, tell your friends, make fliers and throw them throughout your school! Anything that helps get the word out about our Kickstarter would help tremendously! Here is the link to the Kickstarter, again, for all your sharing needs! Thank you, everyone, for your support! Battle On! Answer One BioBeasts Question, Win 10000 Artix Points! Are you excited about BioBeasts? Would you like to win 10,000 Artix Points? "If you were a BioBeast, held captive by an army of robotic guards, what special power, mutation, weapon, tool, gadget, or otherwise would you use to escape?" Be creative! You can write a sentence, draft a story, draw a picture, build it with Legos, sculpt clay, record a video, carve it in a pumpkin, show us with popsicle sticks. Anything goes! BioBeasts is a free, single-player arcade-survival game for mobile devices where you control a mutating beast, fighting to escape from a robot-controlled laboratory. It's the newest game in development at Artix Entertainment, designed primarily by the EpicDuel team. BioBeasts will be available for download on Android and iOS soon! 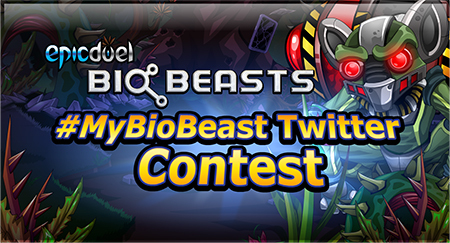 To see sample contest entries and to follow the BioBeasts development blog, head to their site, or follow the BioBeasts team on Twitter, Facebook, or Google+! Randor here! For the last couple of years, I've been wandering the halls of what is known as Atlanti-Con and just my luck! I have gotten the brochure for this year’s con. Who knew Earth had a postal system to my Red Planet?! I'm super excited to go back! I've gotten to meet pretty amazing people and have seen some awesome costumes while I was there during my past trips and it's always had been a great experience! I'm excited to go and I'll be sure to let you all know about what crazy adventures I have in store this year so be prepared for an epic flood of robot costumes and rainbow-colored hair for a sci-fi anime filled convention is gathering this autumn. It's been a while since my last transmission to the people of the pretty blue planet! I been away on my homeworld, Rouge, a planet with five moons recovering from my last battle! Now I am back to face my foes once again. Wow, my mailbox was full of birthday letters! Here on this planet, you celebrate the same day as my Birthday as Cinco de Mayo (and Happy Birthday to all, too). I missed the party, but did pick up some items from these folks who bend forks with something they call the Force! But before I unpack and put these items into the Cinco de Mayo shop, I am adding some new guitars to the Freedom Day shop! These guitars are painted in colors of the first 3 nations to sign the free travel pact. So show your pride for the day when the whole planet become one nation allowing the freedom to travel and visit (and battle) anyone in the world. This also made it so heroes and villains wouldn't be slowed down by toll booths! But let's also hope one day it will become a day where everyone has the freedom to be whoever they want to be and to share their lives with whoever they wish . . . Happy Freedom Day! Our 1st mobile game just hit 1,000,000 downloads! But here is the crazy part... less than 1,000 have reached the end of the map and defeated Dargon the BOSS DRAGON. In fact, most players do not make it past level 10... can you do better? Battle on! Sorry for silence last past months, there has been a lot going on! I have been mostly been away dealing with the hardest Winter the Secret Outpost has ever experienced (and some personal family issues). Many times I wanted to move the Secret Outpost to one of the icebergs in the bay and float down south to the AE HQ where icebergs are so small they call 'em ice cubes! Don't worry, though. While the maps did not get updated as planned, the down time was used to increase game security and make improvements to the game servers. Lucky Day got released this week, but the snow storms made it impossible to work on new items. If we get lucky next week, some new rares will be added along with some final tweaks to the new NPC on Overlook – Pat O'Gold (yes, I love puns). Now that Spring is around the corner, expect things to pick back up. Also, I will soon be looking for new volunteer developers (I'll post more details when the time comes). As always, stay safe and keep warm! THANK YOU!!!! 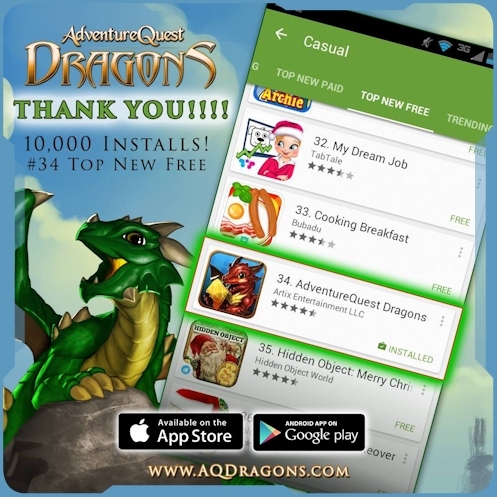 10,000 Installs on Android #34 Top New Free Game. (Now we just need to beat "Cooking Breakfast", LOL!) Go Dragon Masters go! 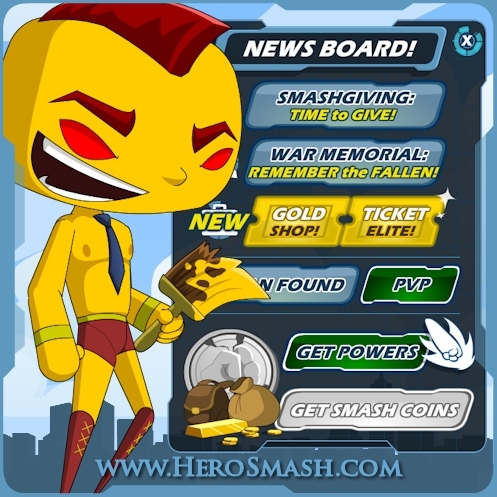 This week Super Hero MMO HeroSmash has added Gold Ticket Shops to the game. One shop uses Gold Tickets that are rare drops from the monsters in the game. The other shop contains items that can be bought with SmashCoins or Fame (Members Only). We wanted a way for free players and members a chance to get some cool gear. But that not all! 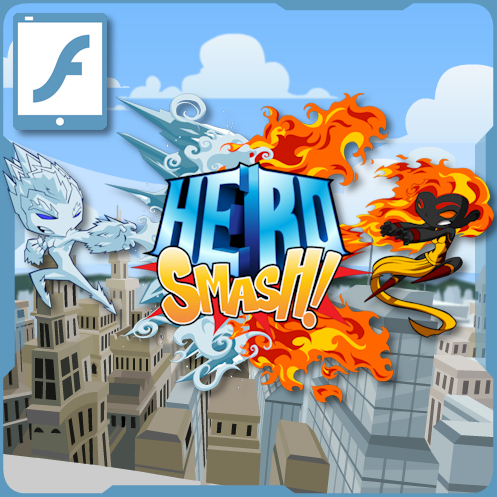 The Gold Ticket Shop contains items from not only HeroSmash, but from many of Artix Entertainment's most popular games!